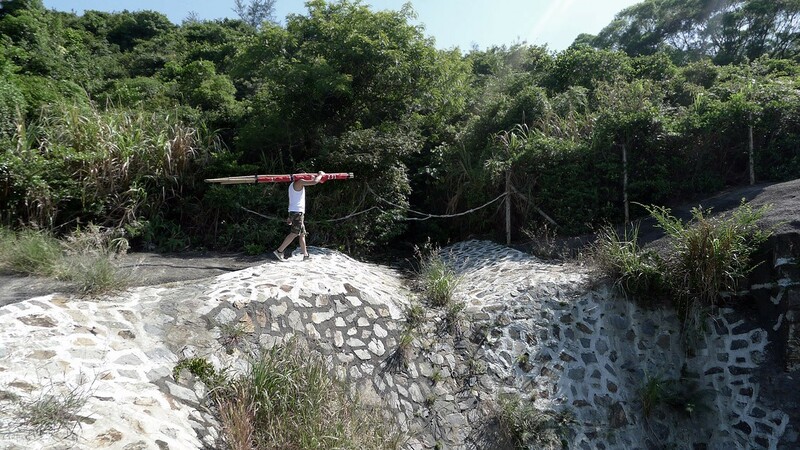 Home from home was a site-specific acte-de-présence on a hill overlooking Hong Kong, playing with boundaries, symbols and (their) perceptions. Using an omnipresent and almost banal object, a flag, and disturbing its reception. from the West, and on the other hand, the -sometimes- almost fundamentalist Nationalism of the Chinese, he puts himself in the middle and tries to comment and rationalize these positions and views in an artistic way. Rather than choosing any camp, he believes the bigger picture of these complex movements in recent and everyday history is of concern and visualizes this through his art. 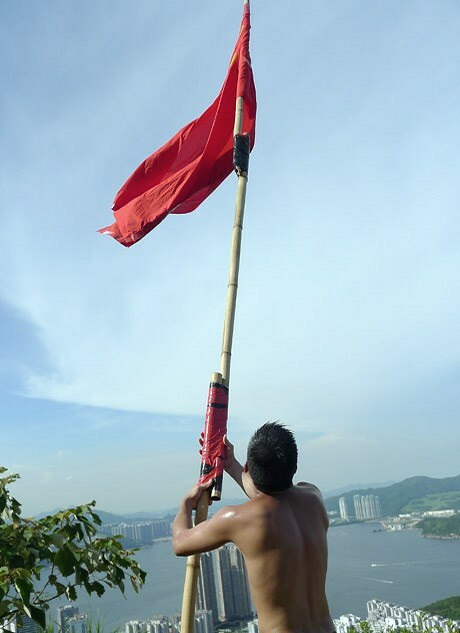 Unable to buy an original, genuine, Chinese National flag, throughout the city, he opted to re-make his own version (in this case a de-formation). 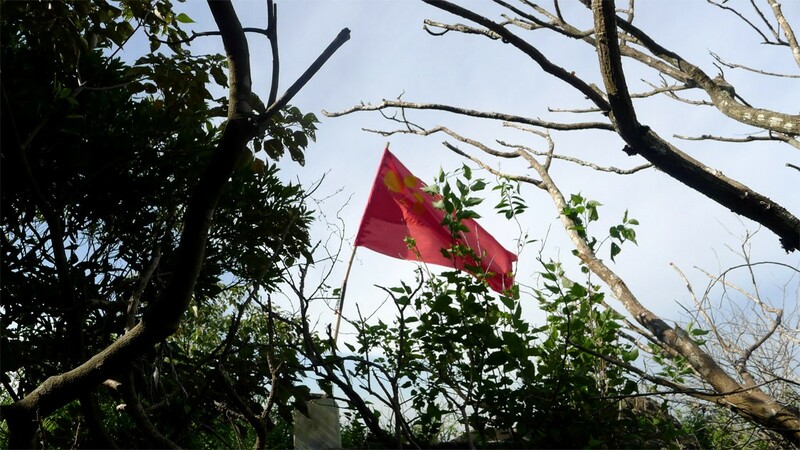 The resulting, widely visible false flag* plays with the strict laws that prohibit the sale and production of the Chinese flag** and in that way questions the respective National authorities. More concrete for Hong Kong, the flag is representational for the growing impact and inevitable power of the Communist Party. 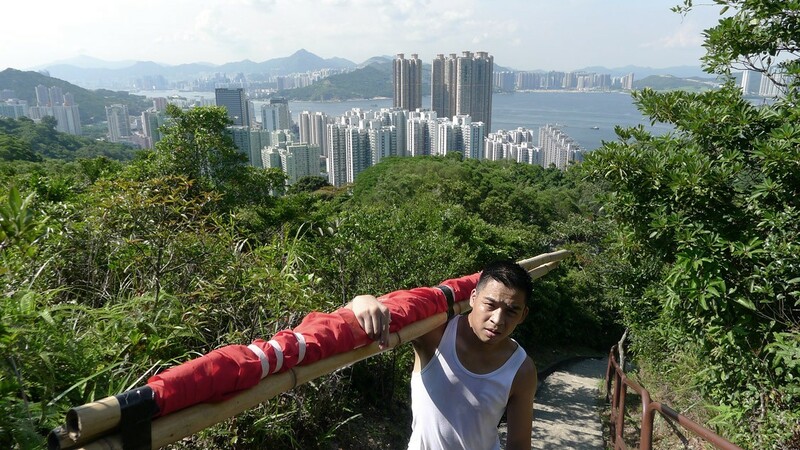 This pseudo-para-militaristic gesture, presented as a work-in-progress of a leisurely walk around his backyard, then hiking up the hill and finally putting up the flag, is his -insofar- final acte-de-présence in Hong Kong. Jon Leung (b. 1983) is a visual artist born in Antwerp/Belgium and mainly based in Hong Kong. Versatile in his use of media, he comments on and intervenes in the existing (socio-political) surrounding space. Exploring notions as conditioning and self-reflection, he’s interested in the discourse and conception of art, rather than merely the ‘production’ of it. By posing questions and setting up ambiguous frameworks wherein his art-practice takes place, he undermines and eliminates preconceived and thus biased interpretations. One Response to "Home from home by Jon Leung"